Good morning! 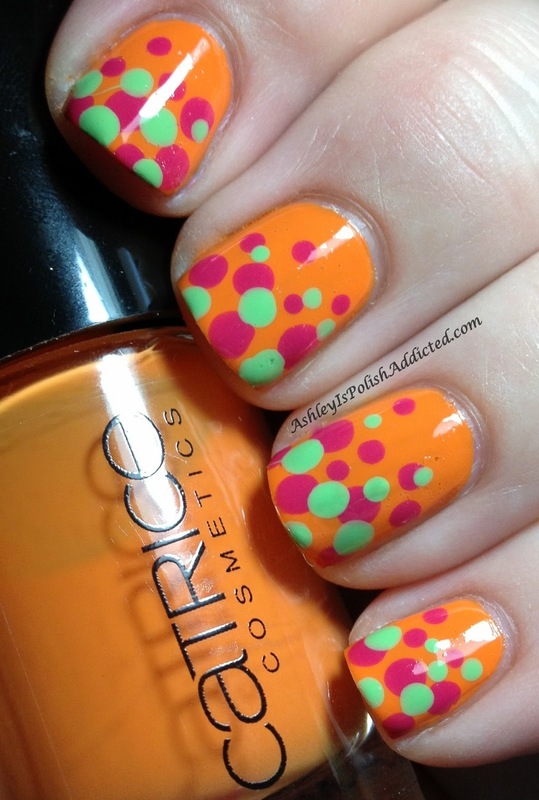 I have a bright and cheery polish to start you day! 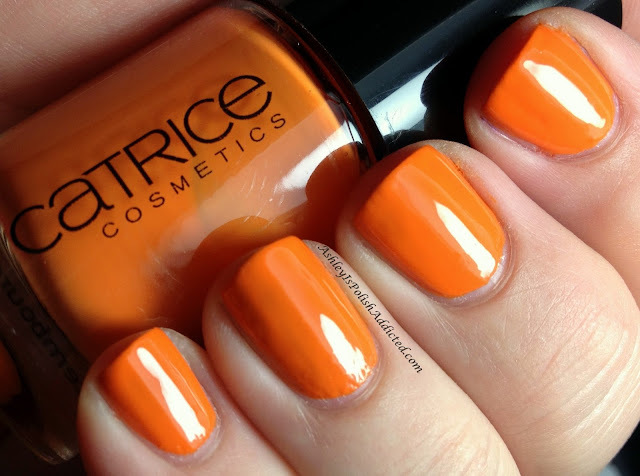 Catrice Orange-Utan is a bright, rich orange creme. The application on this was great and the polish flowed onto my nails and spread like butter. The brush on this was great too - it is wide and flat and I needed no cleanup. I used 2 coats and no topcoat for the photos. 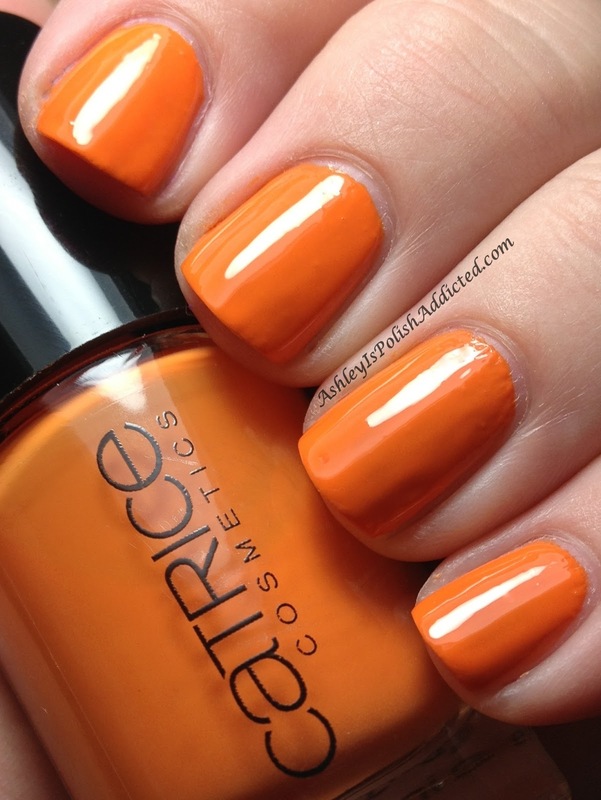 And in case you missed my MANIc Monday post last night, I used Orange-Utan as my base. (The color on the photo below is a little washed out, my swatch photos above are color-accurate.) To visit my MANIc Monday post, click here. Such a fun color - perfect for summer! Catrice is available at Ninja Polish and retails for $10. You can visit Ninja Polish's website to sign up for stock notification.